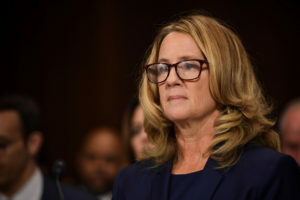 Public opinion of Christine Blasey Ford and Brett Kavanaugh is hardening along party lines as more undecided Americans take a position on the Supreme Court nominee and Ford’s sexual assault allegation against him, according to a new PBS NewsHour/NPR/Marist poll. In a NewsHour/NPR/Marist poll taken before last week’s Senate Judiciary Committee hearing, in which Ford and Kavanaugh both testified, 42 percent of Americans said they weren’t sure who to believe. Now just 22 percent remain undecided, according to the new poll, which was conducted four days after Ford and Kavanaugh’s dramatic public testimonies in Washington. Ford told senators that Kavanaugh sexually assaulted her at a party in high school. Kavanaugh “unequivocally and categorically” denied the allegation. The partisan gap in public opinion about Ford and Kavanaugh has gone up, too, a sign of the growing divisions among Republicans and Democrats on the issue. Seventy-six percent of Democrats surveyed said they believe Ford, and 76 percent of Republicans said they believe Kavanaugh. In the previous poll, 56 percent of Democrats said they believed Ford, while 59 percent of Republicans said they believed Kavanaugh. 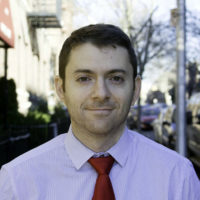 “Partisanship seems to be the one [factor] that really is most dominant in dividing public opinion,” said Lee Miringoff, the director of the Marist College Institute for Public Opinion. The new survey comes as the FBI works to finish its investigation into the allegations against Kavanaugh before a Friday deadline. Two other women, Deborah Ramirez and Julie Swetnick, have also accused Kavanaugh of sexual misconduct. The White House ordered the supplemental background check last week after several Republicans joined Democrats in calling for the FBI probe before the Senate voted on Kavanaugh’s nomination. Senate Majority Leader Mitch McConnell, R-Ky., has said he plans to begin the voting process for Kavanaugh this week, as soon as the FBI investigation is over. Fifty-two percent of Americans believe Kavanaugh, who was nominated by President Donald Trump in July, should not be confirmed if the investigation does not “dispel the doubts” about whether the sexual assault allegation from Ford is true, the poll found. Last week, in the days before the Senate hearing, 59 percent of Americans said Kavanaugh should not be confirmed if Ford’s allegation was true. This is much different than public opinion in 1991, when according to a survey by CBS News and The New York Times, 56 percent of Americans thought Supreme Court nominee Clarence Thomas should be appointed even if doubt about Anita Hill’s sexual harassment accusations existed. Thirty-five percent said Thomas should not be confirmed, and 9 percent were unsure. There remains a large gender gap in public views on Ford and Kavanaugh. There remains a large gender gap in public views on Ford and Kavanaugh. Fifty-two percent of women now say they believe Ford is telling the truth, compared to 27 percent who said they believe Kavanaugh. In the poll taken before the Senate hearing, 35 percent of women said they were more likely to believe Ford, and 20 percent said they were inclined to believe Kavanaugh. 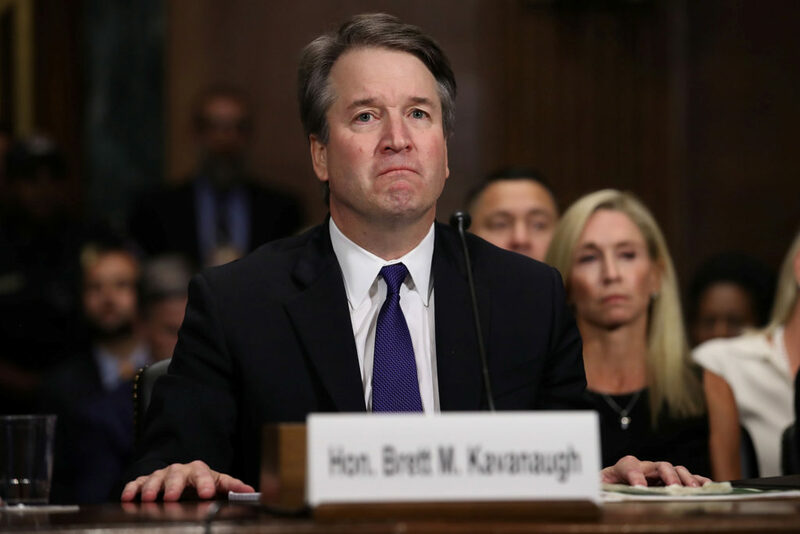 Among men, the new poll found that 39 percent said they believe Kavanaugh and 37 percent believe Ford. Before the hearing last week, 32 percent of men said they were leaning towards believing Kavanaugh, and 28 percent said they were inclined to believe Ford. The poll also asked about public support for the FBI. Overall, 59 percent of Americans said they have a “great deal” or a “good amount” of confidence in the FBI, according to the poll. Thirty-six percent of respondents said they did not have “very much” confidence or had “no confidence at all” in the bureau; 5 percent said they were unsure. The PBS NewsHour/NPR/Marist survey of 1,183 adults was conducted Oct. 1, and has a margin of error of 3.8 percentage points. Producer Rachel Wellford contributed reporting.